Some will rejoice and others will tear their hair out in despair as it can be confirmed that Darragh MacAnthony’s Marbella based former property company, MRI Overseas Property, is essentially back in business. Of course, with the nature of this website, we mean the property business. MacAnthony has, of course, been better known of late as owner of Peterborough United football club in the UK. He has been living in Florida for a number of years now. The optimistic among you may well see this as confirmation of a strong recovery in European economies. This would obviously be most welcome and in which case you may well be very excited to see MacAnthony’s former work colleagues back at work in their old profession. If you have done business with MRI previously and not had the best experience, as has been the case with most of the members of the MRI SG forum, then you may well despair at this turn of events. Make sure to clear the applicable email address in your Spam Filter. These automated email addresses work 24/7 so you can get started right away. This will send you a questionnaire and request necessary documents to assess your case. Include your phone number if you would like to be contacted to discuss your case. There have also been a number of former MRI staff that claimed they were left without substantial commission sums, owed but not paid to them by the company. One former MRI staff member took the company to court in Spain and won a judgement for over €150k plus legal expenses, but despite winning the case in September 2011, she claims she has never received any payment from the multi-millionaire property mogul (there’s a copy of the judgement at the bottom of this piece – I took out the claimant’s name to protect her identity, but it’s a publicly available document if you look hard enough). We’ve had confirmation that Mr. MacAntony himself was very much present as America Homes LLC & Spain Homes SL were promoting their wares at a recent property exhibition in the UK, but MacAnthony has denied any involvement in either organisation. You can find the Olive Press article here (or at least you could before it was taken down, presumably following further threats from Mr. MacAnthony). 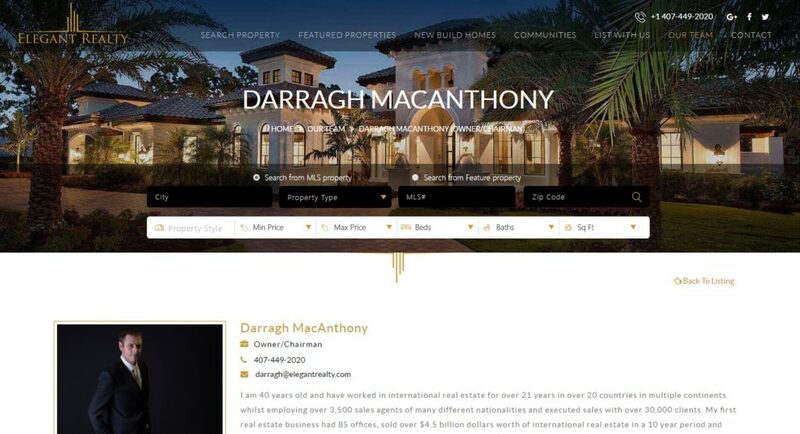 Contrary to that statement, Darragh MacAnthony, his father Austin MacAnthony and sister Kissandra MacAnthony are very involved in a new ‘luxury’ enterprise they have termed Elegant Realty, selling high end Florida real estate – http://www.elegantrealty.com/our-team. Darragh is effusive about his history in the property industry, but there is no mention of MRI Overseas Property anywhere on the site. There is a phone number if you wish to give him a shout, 001-407-449-2020 and a quick email to darragh@elegantrealty.com will also find him. 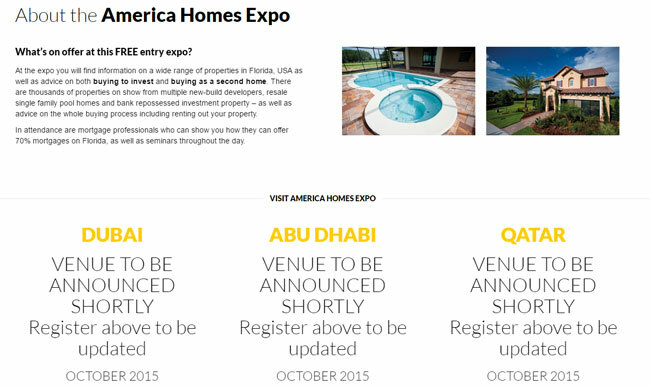 Another related entity, America Homes Expo (now seemingly cut adrift – it was purportedly the exhibition arm of America Homes LLC) has been promoting Florida property over the past year. It has run a range of shows in Ireland and the UK. At time of posting (April 2016) the company still has promos for shows in the Middle East for last autumn which presumably didn’t materialise. Darragh MacAnthony’s sister, Kissandra Perez (her married surname) is the face behind the International Homes sales venture. 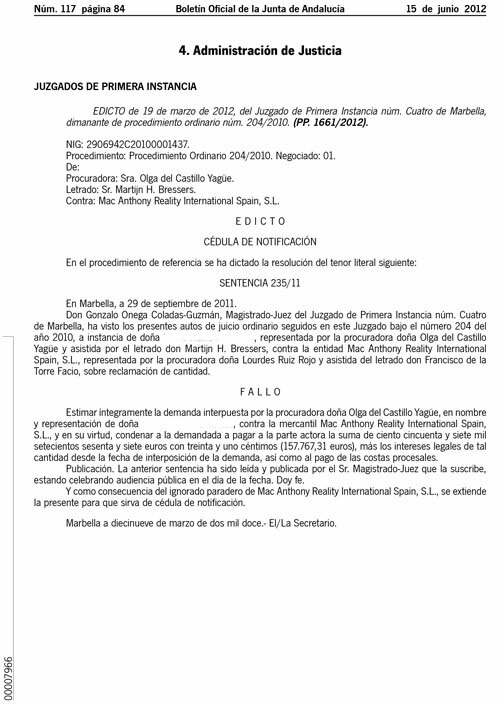 Quite a few staff have also been re-enlisted from Marbella based MacAnthony Realty International which subsequently changed its name to MRI Overseas Property – http://www.mri-sg.org/mri-staff-list-2007. You can find a list of the personnel additions and deletions from the American company, and their dates, here. It has also been brought to my attention that Paul Howells, another long serving MRI lieutenant, has posted on social media that International Homes Group are doing a major recruitment drive for a flagship office in Puerto Banus, near Marbella. It is believed that the new entity will operate from a premises previously occupied by United Property Group, also believed to have been related to the International Homes Group, next to the cinema in Puerto Banus. The Eagle eyed among you will have noticed that the ‘About Us’ sections of both companies are virtually the same. In fairness, neither one is trying to hide the fact that they are connected. 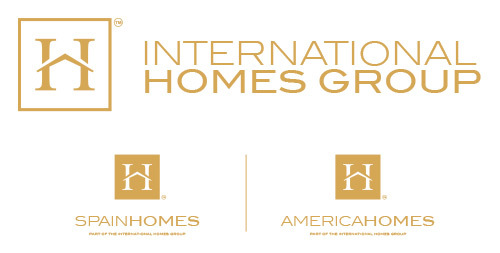 They are marketing themselves as the ‘International Homes Group‘ hinting that the group is hoping to have much bigger fish to fry in the future. On the America Homes site the staff are all Florida property experts and are based in an office in Florida – 5728 Major Blvd. Suite 600, Orlando, Florida, 32819, USA (close to Universal Studios) to be precise. On the Spain Homes SL site they are all Spanish property experts based in C/ Ramon de Campoamor, 6 Local 3, Orihuela Costa, 03189, Alicante (beside Campoamor golf club just south of Torrevieja on the Spanish Costa Blanca). I guess whether you believe the claims or not depends on your definition of expert. If it simply involves motivating people to get on a subsidised plane trip to Spain or Florida then they probably qualify. i understand amongst the people working in real estate on the Costa del Sol, where they recently saw a full page advert saying in the Sur in English looking for staff saying: ‘The worlds largest overseas property is coming to our territory’ … they just knew that, that kind of rubbish statement and crass hyperbole could only come from one source and the word is going around the market that… Voldemort and his Death Eaters are back… Sad really, that he could ever be allowed back, but no one, no one is fooled by these various denials of involvement. sickening that this parasite can somehow regain a shoddy foothold on property once more .This individual has been the ruination of so many lives and the demographic mainly as it was- over 50s /60/s THERE IS SLIM TO NONE CHANCE OF RECOVERY FROM THESE COLOSSAL LOSSES AND LIFECHANGING events .Years too devoted to any sort of justice – which never happened here in the uk who allowed all victims to despair & have no help whatsoever.It beggars belief that this fraud can happen and no one touches it.Please pass to everyone you know to stop this. Bastards-lied,cheated and kept up the dishonesty by sending emails asking for decorating choices etc-we were very lucky in that after 21 months of broken promises we requested our money bank via the bank guarantee-and were given it thank the bank for that-sympathies lie with the people who purchased the first built in Almeria-who were left with broken promises,no facilities,no planning permissions-avoid these greedy bastards at all costs!!!! !